So far in 2019, we've had an average of 0.70 calls per day. Light rain starting tomorrow morning, continuing until tomorrow afternoon. 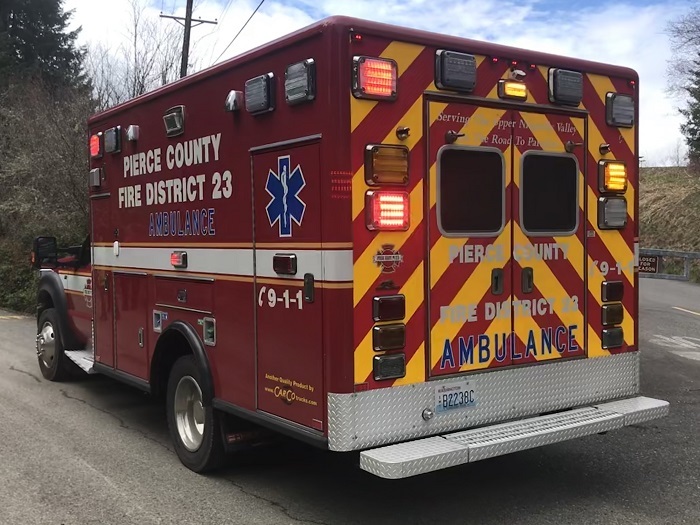 Pierce 23 Fire and Rescue is a municipal agency that provides fire protection, fire prevention and emergency medical services to the 2,500 residents of the towns of Ashford, Elbe, and Alder in rural south Pierce County, at the Gateway to Mount Rainier. We have four stations, 18 apparatus, 20 active volunteers and 3 paid staff members who provide 24/7 coverage for District #23, a coverage area of approximately 67 square miles. The district has two major state highways (State Route 7 and State Route 706) and serves as a vital transportation corridor to the south west side of Mount Rainier National Park. The district also has major water resources including the Nisqually River and Alder Lake, a 7-mile long reservoir ending at Alder Dam, which provides power to thousands of homes in Pierce County. This website is designed to be a source of information for residents, visitors, fire fighters, and neighboring fire departments. 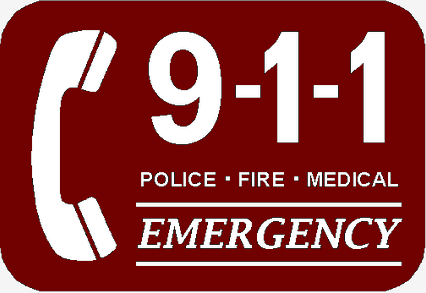 Pierce County has launched a text-to-911 service that will allow anyone to send a text request for emergency help if they can't safely place a voice call to 911. The new service, launched Wednesday, provides the community - including the deaf, hard of hearing, or speech disabled - a potentially life-saving option to reach 911. It is also available for those in a situation where calling 911 might endanger a life or escalate a threatening situation. Officials caution that text-to-911 is not a service of convenience - it is for emergencies only. While voice calls to 911 are still the most effective way to get emergency help, text-to-911 is available for situations where someone cannot safely make a voice call. Keep messages brief. Do not send photos or video, or use group texts, abbreviations or emojis. Keep your cell phone with you so you can answer questions and receive instructions. If you are trying not to be overheard requesting help, remember to silence your phone. Currently, text-to-911 service is only available in English. Although South Sound 911 has tested the service, the agency does not control text delivery from mobile carriers or devices. If text-to-911 service is not available, senders should receive an automatic reply stating the service is unavailable. There may be instances when a voice call cannot connect due to poor cellular signal or other phone service interruption, but a text message can still go through. For more information about text-to-911 in Pierce County visit southsound911.org/text911. PCFD23 now have Monitor/Defibrillators on all of our ambulances! Thanks to the commitment of the fire commissioners of both Pierce County Fire District 23 and Lewis County Fire District 17 (which PCFD#23 covers through a contract), in the last year, all four of our ambulances now have an advanced Physio-Control LifePak® 12 Monitor/Defibrillator onboard. 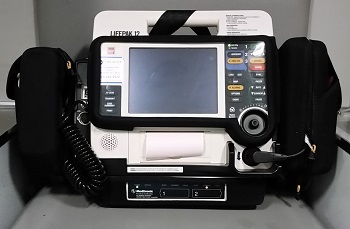 The LifePak 12 (LP12) is a medical device that combines semi-automated and manual defibrillation (similar to an AED) with waveform capnography, 12-lead electrocardiography (ECG), blood pressure monitoring and oxygen saturation monitoring. This equipment allows our EMTs to better monitor our critical patients and better determine the destination hospital that best suits the patient's condition - all of which leads to better patient outcomes. Our mutual aid agencies also use the LP12, which means that when we transfer a patient or when our mutual aid medics show up on scene when we are using this device, there is a much quicker and seamless transition for monitoring and/or defibrillating a patient. 12-lead ECGs are critical for determining what is happening on our chest pain patients, which also helps determine the best hospital destination. Our LP12 can quickly determine if our patient is having a heart attack, and if so, we can upgrade our transport (via medic and/or Airlift Northwest) to a Cardiac Care hospital for better care. The monitoring characteristics of the device are very useful in critical patients and we are able to quickly see if a patient is improving or needing additional care. Every member of our department is committed to our citizens and patients and through acquisitions of medical devices like these, we are demonstrating our commitment to our citizens. If you would like to see this device, please feel free to stop by a station when it is staffed or inquire at our next open house. Thank you! Pierce 23 Fire and Rescue is looking for committed volunteers who wish to serve their community as a trained first responder. Being a volunteer firefighter is an exciting job that comes with lots of satisfaction, camaraderie and experience. Volunteer personnel respond to calls for help 24 hours a day, 7 days a week, in all kinds of weather and conditions. Roles for volunteers include emergency response personnel (Firefighters/EMT's) as well as support personnel. Men and women age 18 and older who are in good physical condition and have the desire to serve as firefighters are eligible to apply for emergency response positions. Anyone age 18 or over may apply for and serve in support positions. All applicants must pass a background check and physical exam, provided by the department upon acceptance. Volunteers with Pierce 23 Fire & Rescue do not need any prior fire or emergency service experience. Volunteers will attend weekly drills and other training classes (such as EMT training and Firefighter academy, driver/operator, water rescue, as well as other advanced training), and will be provided with all necessary equipment by the department. If you are interested in volunteering with PCFD#23, please click here for more information! New Ambulance at Station 87! Say hello to the newest apparatus in Pierce County Fire District 23's fleet! We have acquired a 2014 Ford F550 Super Duty 4x4 Ambulance to replace an older 2004 Ford F350. The new ambulance has super bright Whelen LED emergency and scene lights and has many advanced features. The ambulance also has an air-ride suspension which means our patients will have more comfort on bumpy roads and during extended transports. The back of the ambulance actually sits down when loading and unloading the cot, which makes it easier for our responders. Additionally, the back of the ambulance has several airbags and lap and shoulder restraints. 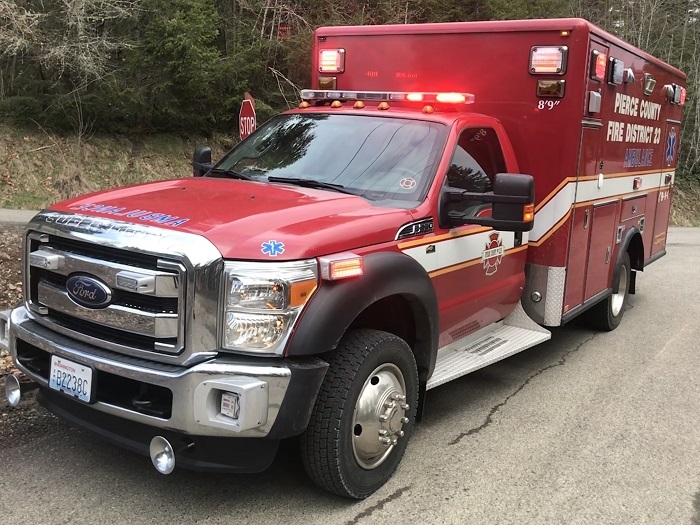 This new ambulance was acquired in early 2018 and placed in service on March 2, 2018. Stop by Station 87 for a look - we're proud of the newest member of our fleet! Time to Spring Forward and Check your Smoke Detector Batteries! It is time once again to spring forward - to start Daylight Savings Time. Likewise, it's a perfect time to remember to change the batteries in your smoke alarms. Here at Pierce County Fire District 23, we're all about safety. So we encourage you to get into the habit of changing all your smoke alarm batteries either at the end or the beginning of Daylight Savings Time to keep your family safe and protect your home from fire and smoke damage. The value of having reliable smoke alarms in our home is well known. However, having smoke alarms is not enough. A good fire safety plan demands that the smoke alarms are actually working. Adopting the habit of quickly checking your smoke detectors each month will ensure that they are working properly, and changing the batteries at least once a year will ensure that their batteries are fresh and strong. Get alerts about emergencies and other important community news by signing up for our Pierce County Alert Program. This emergency notification service enables Pierce County to provide you with critical information quickly in a variety of situations, such as severe weather, unexpected road closures, missing persons, and evacuation of buildings or neighborhoods. Sign Up here! 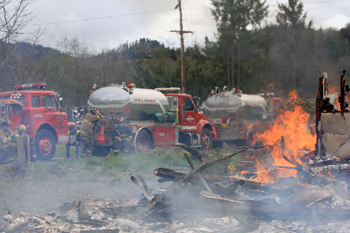 This site is managed and maintained by the Pierce 23 Fire and Rescue Association.